Christ is the head of the church (Ephesians 5:23). All of us are in submission to him! The New Testament describes a special role for men of proven reputation, character, and quality. These men are called by different names in scripture: elders, overseers, shepherds, and pastors. Their job description is difficult: they are responsible for leading and guiding the congregation. They keep an eye out for the sheep, to make sure they’re fed and safe. Their job is tough, and they covet your prayers. 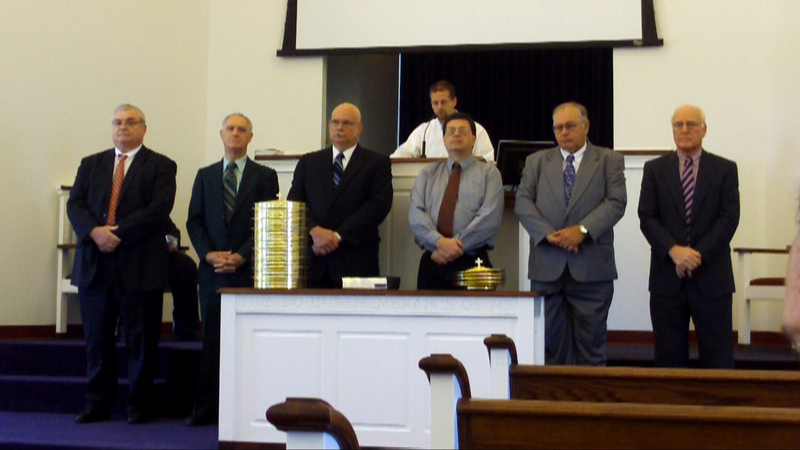 Burns is blessed to have six elders as of September 12, 2010. These men (as pictured from left to right) are Jeff Kuhns, Glenn Buffington, Stan Whitfield, Butch Jack, Charlie Dauphin, and James Hinkle. They would be glad to answer any questions you might have, and they’d love to visit with you or have a Bible study. If you have a specific question for these men, you can send the entire group an email addressed to ELDERS (at) BurnsChurchofChrist.org.